"Most swimming pools buyers prefer to relax by their swimming pools rather than maintaining them"
molded into a basin shape. Made in the EU, Head office in Lebanon. The smooth, nonporous surface of CASA POOLS' fiberglass swimming pools is inhospitable to algae and requires less brushing than other swimming pools. Fiberglas swimming pools feature molded one-piece construction, they can be installed in less time than it takes to construct their concrete counterparts. 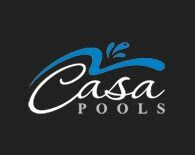 Typical CASA POOLS swimming pools can be installed within one weeks of arrival at a home's site. more..
1. Install Time � A typical concrete swimming pool will usually take 8 to 12 weeks to install. You can have a complete fiberglass pool done in about 1 weeks or less. Now don�t interrupt a quicker install as being a cheaper looking product. 2. Less Cleaning � yes less cleaning is one of our biggest points that we argue about. Now were not saying no cleaning is involved but far less cleaning is required for a fiberglass pool than a concrete. You see a concrete pools is a lot more porous which in terms leads to more ways to build up algae. Now a fiberglass has a non � porous surface so there�s no ability for algae to grow. more..
We are providing to our customers a large range of quality Swimming Pools Electromechanical Works, which is very reliable. We are providing the service to install pools and spa light wells with bond metal. They all are connected with the electrical device. more..